Claid and Marcia Dalfour have started a development project for low-income children in Paramaribo, the capital of Suriname. 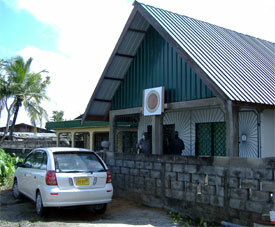 They rented a small meeting hall in Paramaribo. It is actually a small house that was unfinished when they first rented it. The roof was not completely in place, the interior was totally unfinished and the floor of the building was just dirt. With a lot of "sweat equity" they have turned the building into a place where they can have conduct their program to help the children in the neighborhood. 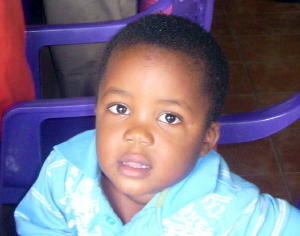 LifeNets has committed to helping this program. It is well-run and produces wonderful outcomes. 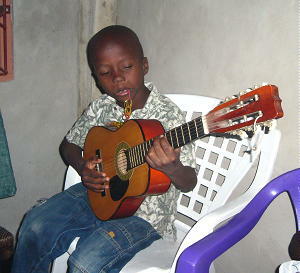 We are purchasing used musical instruments in the country of Suriname. 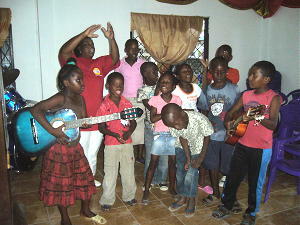 Here are some photo's of the children in Surinam attending music lessons. 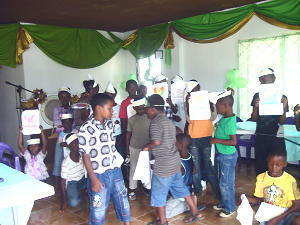 Each Saturday they meet with some 30 children ages 3-7 for 2-3 hours. Some of the children who participate do not have shoes. 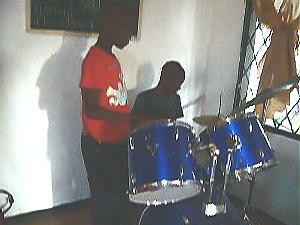 The Dalfours teach them basic Christian principles via hymns, which the children memorize. They help the older children with elementary reading skills, and they teach all the children basic social skills like saying "Please" and "Thank you." The Dalfours have downloaded some basic children's material from the Internet and use it for their instruction. The texts are in English, but they always explain everything in Dutch so the children can understand. 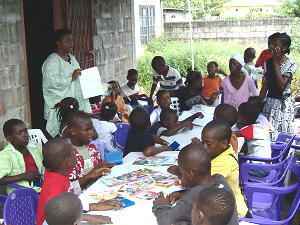 When the lesson is finished, the children receive a warm lunch before they return home. The Dalfours have been providing this service for about 9 months now, paying for everything from their own income. 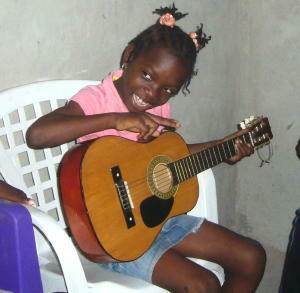 Marcia works as a governmental nurse supervisor in Paramaribo, and Claid is a music teacher. It is the desire of LifeNets to support this well-run project which simply needs financing. We will be working with Paul Kieffer who is regional director for the United Church of God for the German and Dutch-speaking areas. 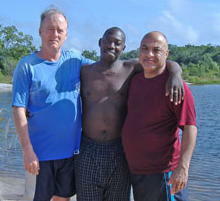 He visited this area in January/February and gave us an enthusiastic report the work of the Dalfors.